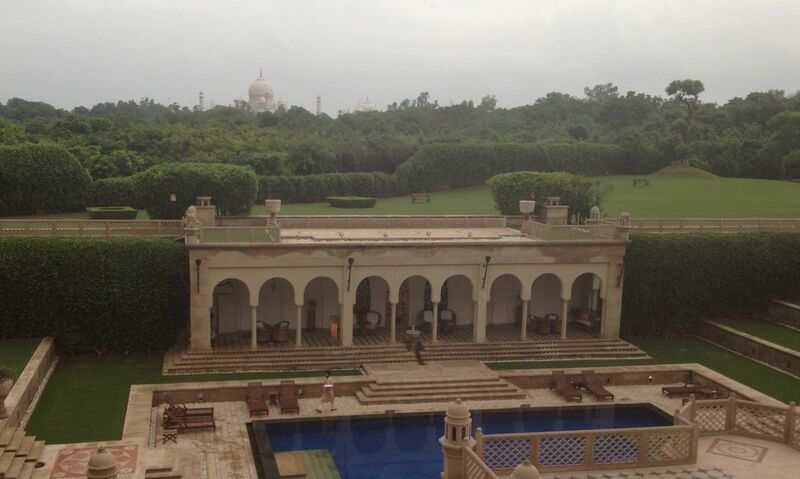 Tonight we are in Agra, India. This is a brief note before I write a proper post about today. We had a fortunate day, in that there were several decision points at which the weather deities or other things could have caused us some significant hassles. However, each of those challenges resolved itself in the end, and we arrived here in good order. If you’ve seen the film “The Best Exotic Marigold Hotel”… then you’ll appreciate the visual riot and the road chaos that somehow sorts itself out by magic as you drive down the streets here. There are some great stories to relate about today, as soon as I can. However, the hotel Internet is creaking somewhat during ‘evening peak’ at the minute, so I need to try again tomorrow – and that is when I’ll write down some stories from today as well. Tomorrow we’ll tour the Taj Mahal, and look at some other things in the local area, before resuming our flying expedition the following day (heading to Thailand). This entry was posted in aviation, ferry-flight, travel by simonhackett. Bookmark the permalink.